Webcam Overgaard, Arizona: Mogollon Airpark - A webcam in Overgaard, Arizona with image archive, weather data and timelapse videos. Heber-Overgaard, Arizona: McClurg Cabin Cam, 3.2 mi. Snowflake, Arizona: Sundance Springs, looking W-SW, 27.4 mi. Pinetop, Arizona: Hon Dah Resort and Casino, 38.1 mi. Pinetop, Arizona: Pinetop Weathercam, 42.7 mi. Pine, Arizona: Rocky Top Ranch, 57.9 mi. Sedona, Arizona: Sky Mountain Ranch, 77.2 mi. Scottsdale, Arizona: Rio Verde West, 84.9 mi. Apache Junction, Arizona: Superstition Mountains, 88 mi. 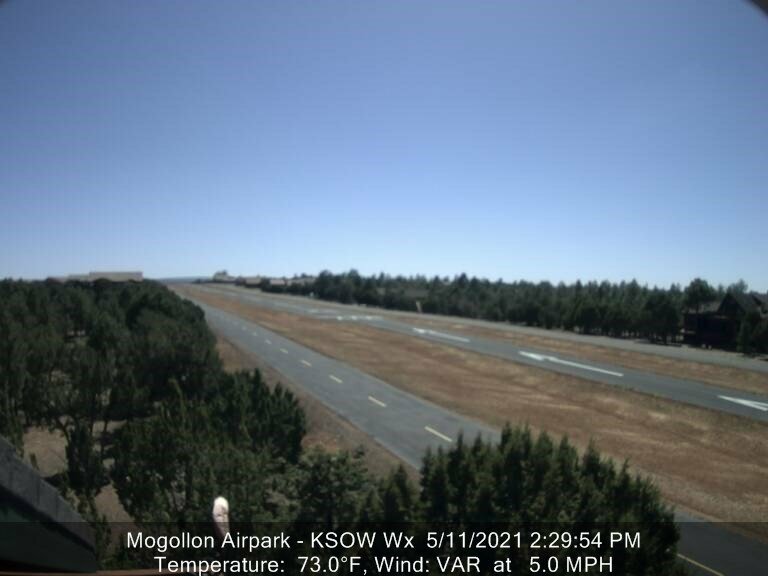 This webcam Overgaard, Arizona with the theme Landscapes was added on January 17, 2012 and is operated by Luscombepilot @ Weather Underground. It got 7472 visitors since then. Shouldn't this webcam work or should the link be wrong please report that here. You can add this webcam here to myCams.